Our guide to Palo Alto will help you find the best green spots in Palo Alto California. There are tons of great green spots in the city of Palo Alto, our city guide will help you find the best green spots. You may have a hard time deciding what to do in Palo Alto, but we make your decision easy. 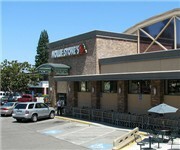 164 S California Ave, (650) 323-8361 - Mollie Stone's Markets is a green food / grocery store located in Palo Alto CA. 3922 Middlefield Rd, (650) 494-1629 - We are a family of dedicated grocery people, with a love of food, and a commitment to our customers, our employees, our vendors, and our community. 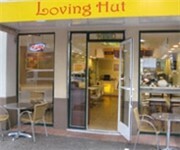 440 Portage Ave, (650) 812-0144 - Cafe Soulstice is a green restaurant located in Palo Alto CA. 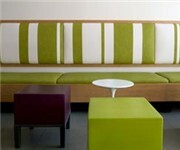 448 S California Ave, (650) 327-0284 - Bistro Elan is a green restaurant located in Palo Alto CA. 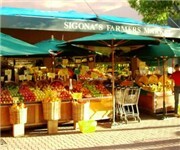 N California Ave, (323) 933-9211 - California Avenue Farmers Market is a green farmers market located in Palo Alto CA. S California Ave & Ash St, (650) 324-9190 - Palo Alto's California Avenue Farmers' Market is a green farmers market located in Palo Alto CA. 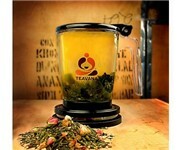 180 El Camino Real, (650) 326-5100 - Teavana is a green coffeeshop / cafe located in Palo Alto CA. There are plenty more green spots in Palo Alto. See all green spots in Palo Alto California.